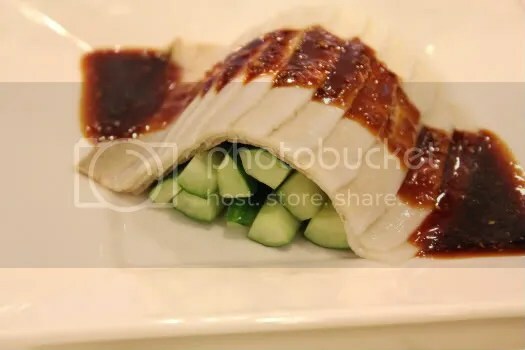 Putien at Parkway Parade is a simple setup, what I would deem a quasi-restaurant that serves great wholesome food at reasonable prices. 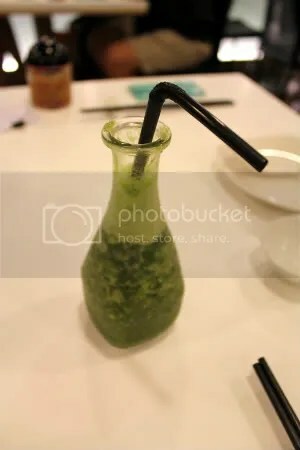 A veggie fruit juice served in a cute bottle with a long neck. Smart because it misleads you as to how much juice is actually in the bottle but refreshing nonetheless. 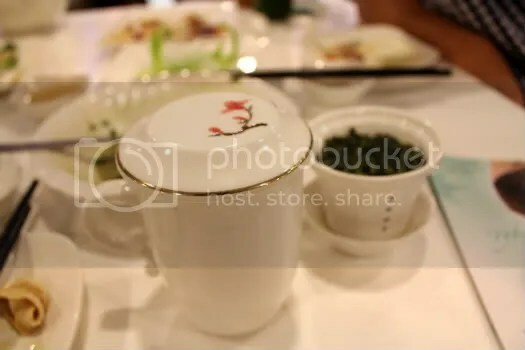 I’m no tea connoisseur but I did like this special tea blend from Putien. It’s a mix of 铁观音and jasmine if I’m not wrong. It’s fragrant, not too bitter thus resting well on the palate. It does not have a dry aftertaste either, which some people like while others don’t. The dishes unfortunately did not arrive in proper order but heck that, they still tasted good. 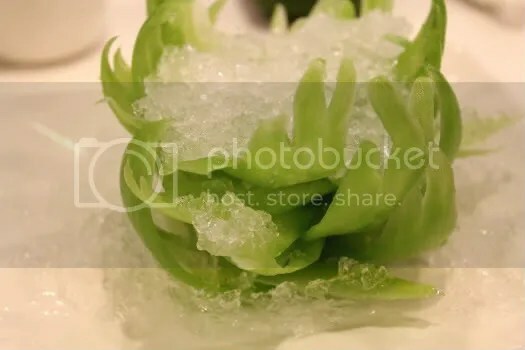 The Iced Bittergourd was served with a diluted honey dressing. Thin shavings of bittergourd that had a juicy crunch. It was kept cold by the ice shavings making it extremely refreshing and an excellent palate cleanser before all the oiler stuff came. Dip it in the light honey dressing to take a break from the bitterness but I must say, the bitterness was pretty light. I didn’t quite take to the steamed cold pork belly with garlic but the parents liked it a lot. The sweet and savoury sauce was tasty though. Probably an in-house concoction of light soy sauce, dark sweet sauce and lots of minced garlic. 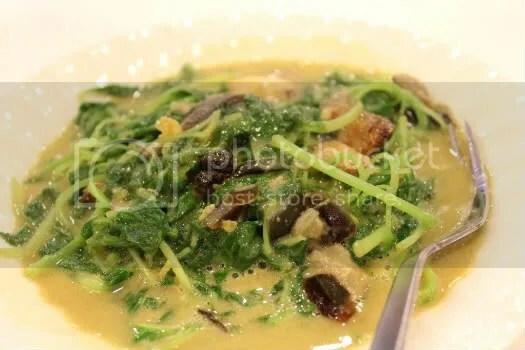 One of the favourite dishes of the day was the Chinese Spinach with Centuary egg and Salted egg cooked in Supreme Stock. It was tasty, had a nice balance of flavours and had a certain richess due to the eggs used. The chinese spinach just soaked up all the delicious stock, amazing. Mum and I have a penchant for garlic and we were delighted to see these little golden nuggets inside the dish. 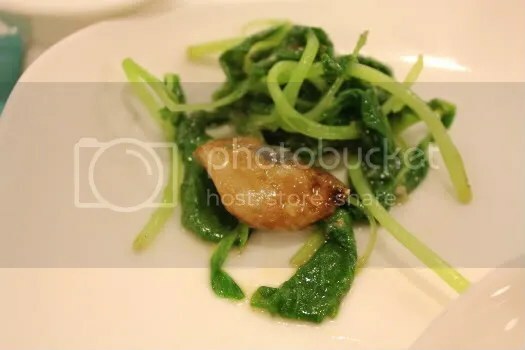 The creamy garlicky nuggets were a lovely accompaniment to the soaked spinach. The Homemade beancurd was naturally one of my favourites too. 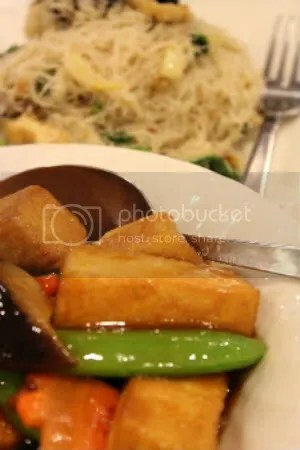 I love it when restuarants nail that silky smooth texture of beancurd. It was paired with snap peas and shitake mushrooms all enrobed with what I think is mushroom sauce. A simple dish that reminds me of home. A visit to Putien is never complete without their signature fried “Hing Hwa” Beehoon. 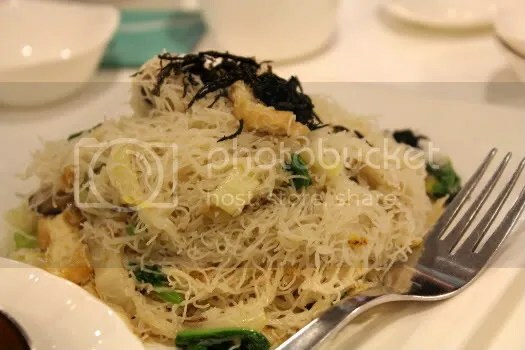 The noodles are thin (think of strings) and fried with all sorts of ingredients like dried scallops. Every table had this, bearing testament to how good it tasted. I’ve saved the worst for last. 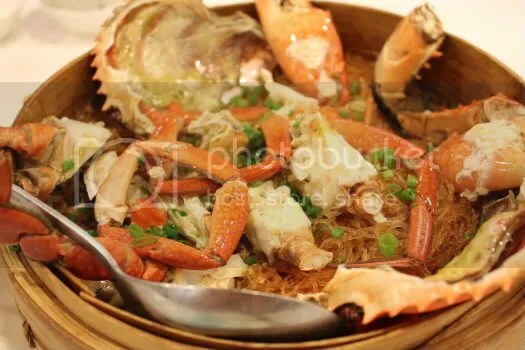 The lotus leaf steamed crab Vermicelli was both disappointing and expensive. The crab was female (not that we gender discriminate but seriously, female crabs don’t taste as nice as male crabs!) and it wasn’t fresh. The vermicelli was also dry after all the steaming. Steamed sweet potato was a total waste of money. 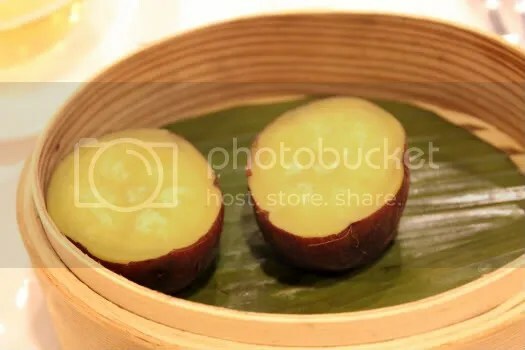 Granted, it is the better japanese purple sweet potato but it was just steamed, nothing special was done to it. 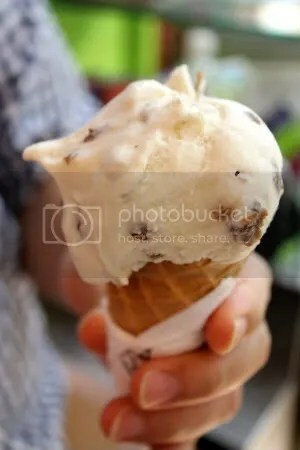 But the lack of dessert did leave space for ice cream at Scoopz. The jackfruit flavour caught my eye as something different. I’m glad I chose it! 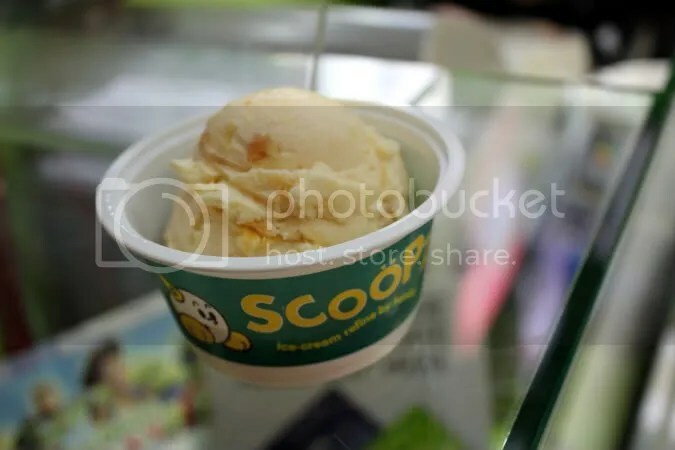 You can’t　help but fall in love with the smooth dense texture of the ice cream and the chunks of jackfruit embedded in the ice cream itself.